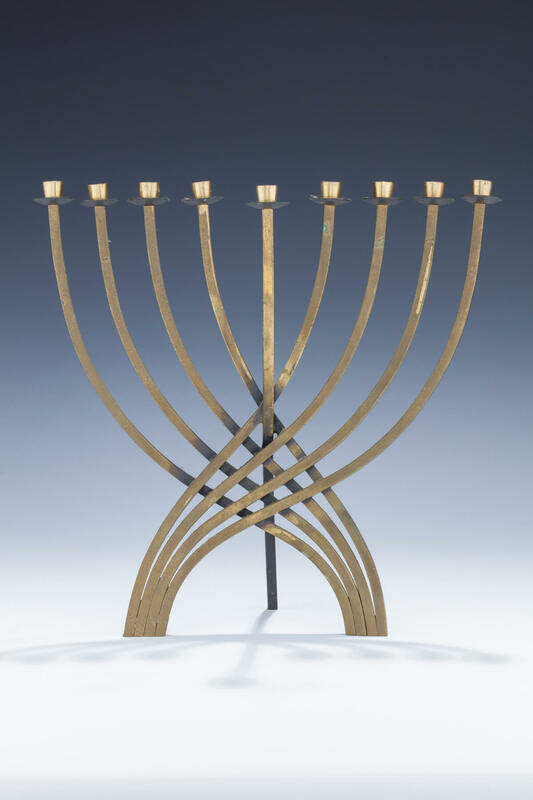 A BRASS CHANUKAH MENORAH BY LUDWIG WOLPERT. Probably New York, c. 1960. In modernist form. 10.6” tall.